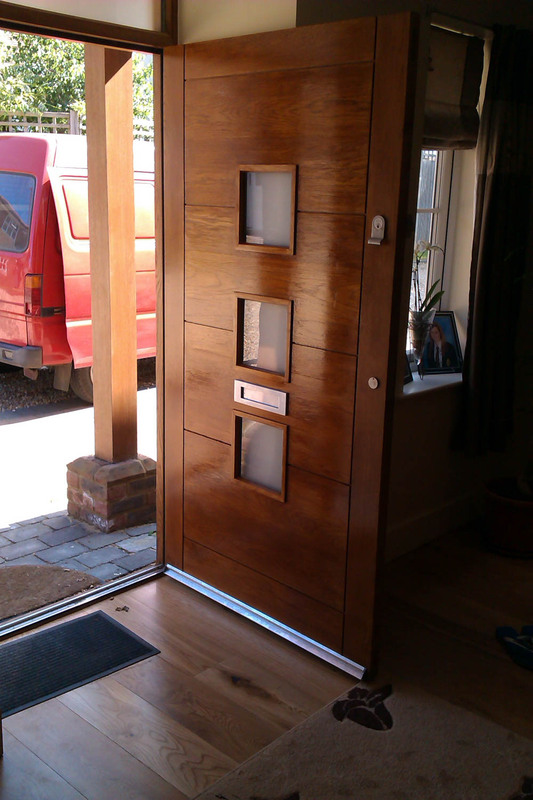 Utterly bespoke, our personalised door service gives you the choice. 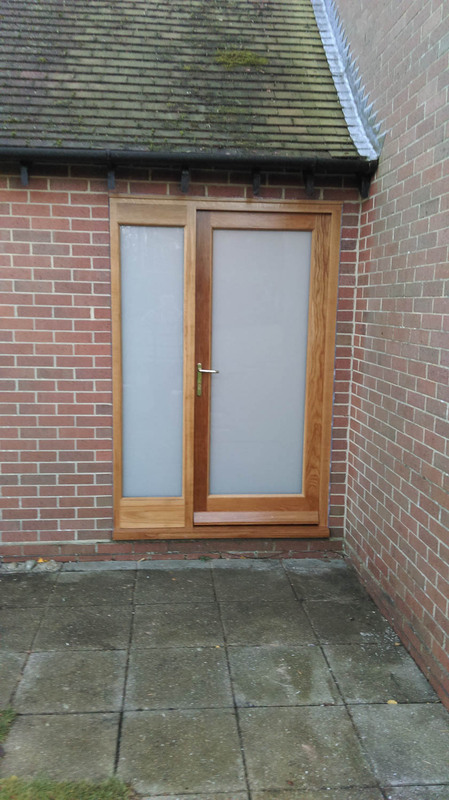 Customised for a perfect fit, our doors include toughened safety glass with a robust locking system which is accredited by PAS 24 - meeting the British Standard for security in door-sets. 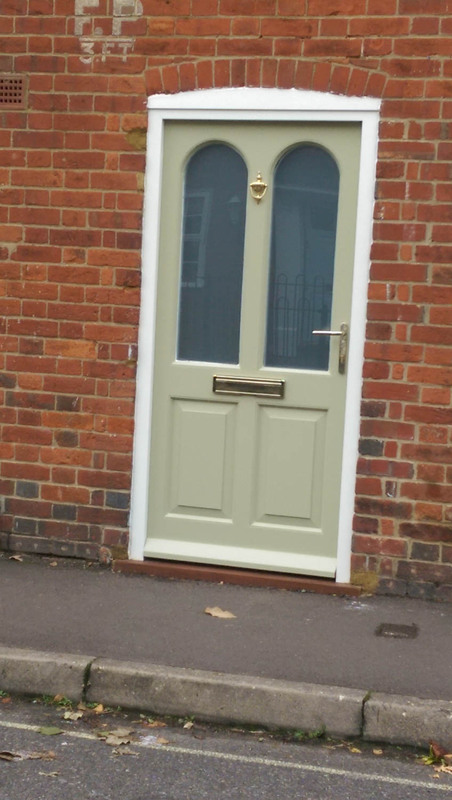 Our dedicated team are happy to help you develop your door idea whilst you select the design, colour and ironmongery. 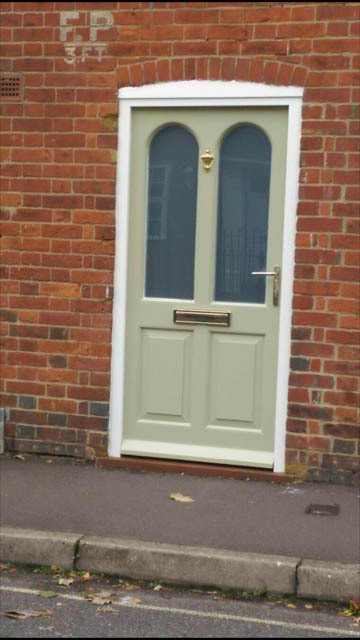 Alternatively, upload an image or drawing of a door that you like and we guarantee to match it! 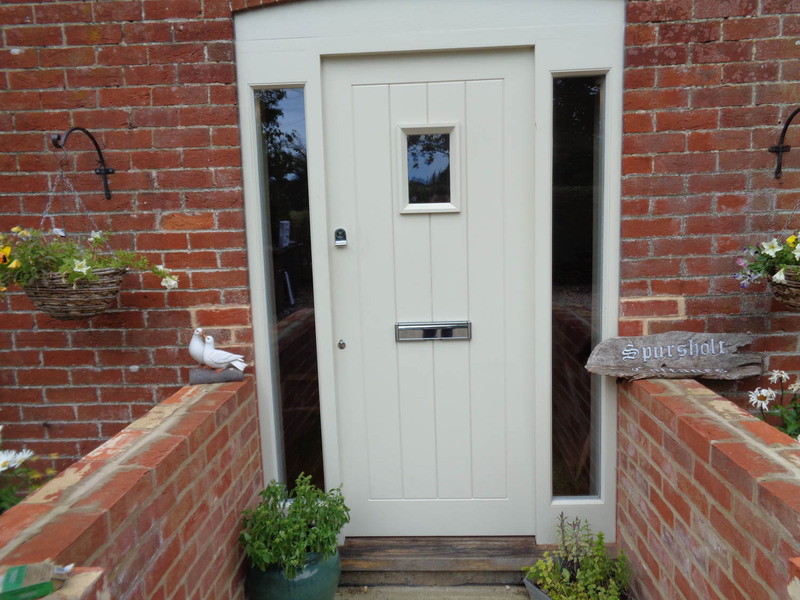 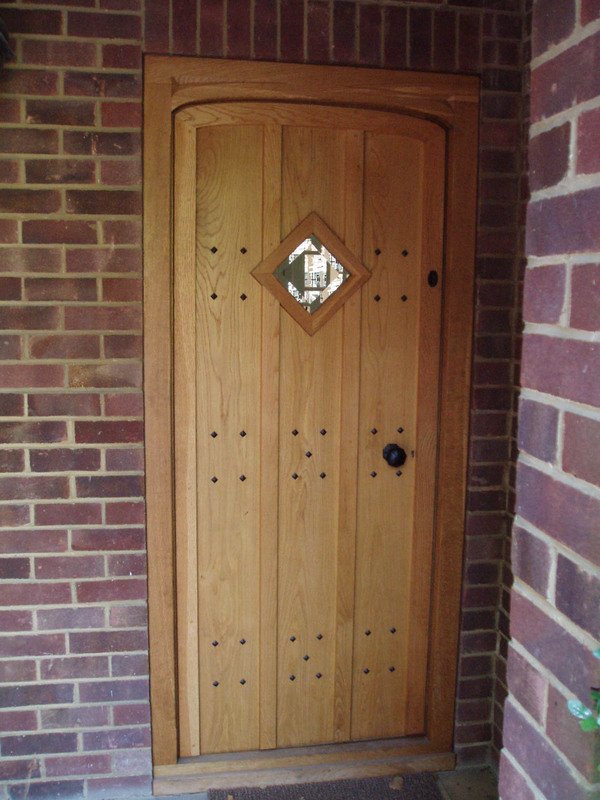 The Applewood Joinery Back Door will add a touch of elegance to your garden-area. 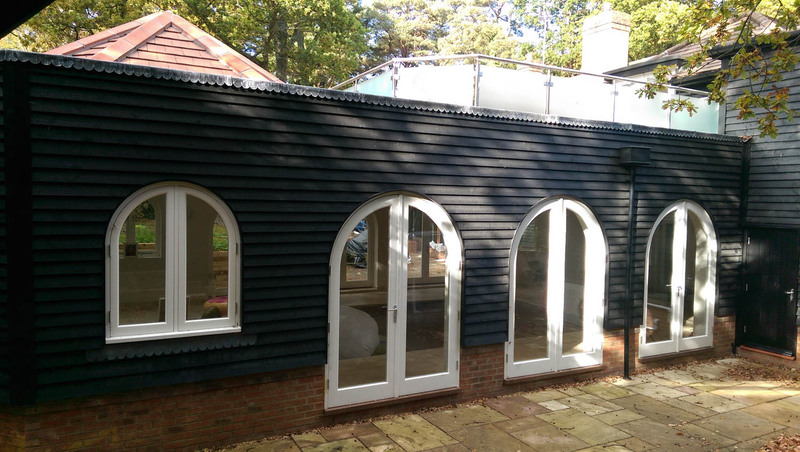 Our spray shop can provide the perfect finish to complement your home. 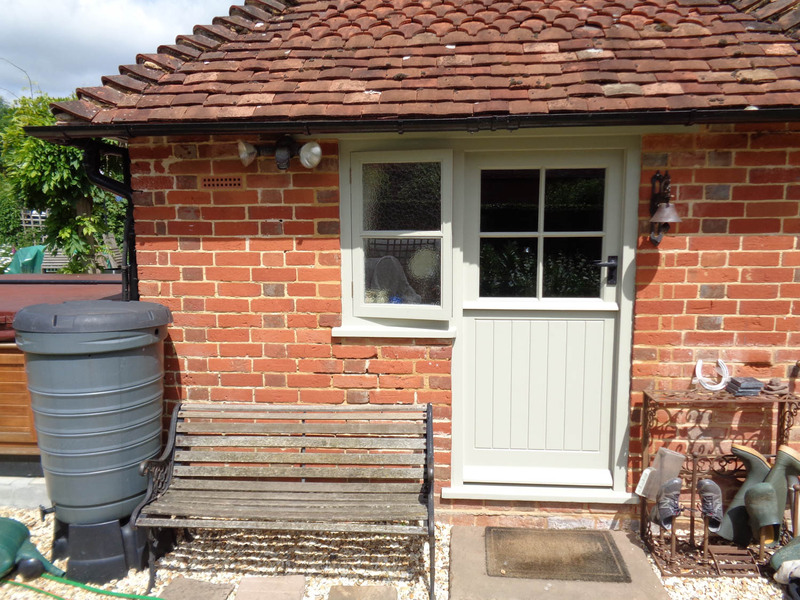 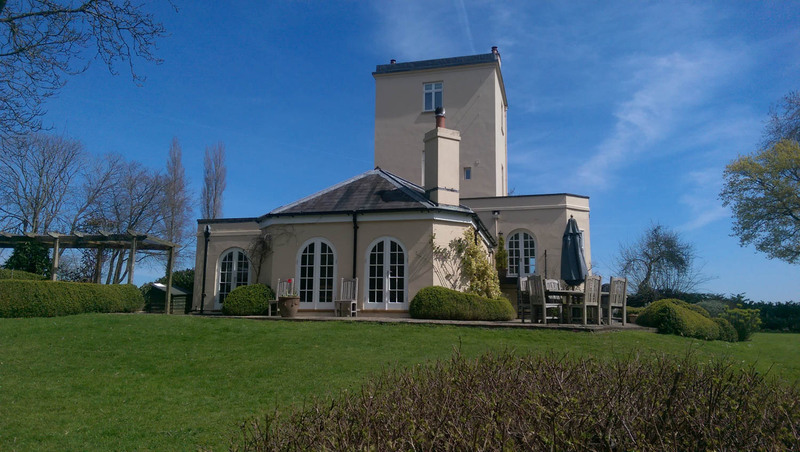 Finishing is available in RAL colours, Farrow & Ball or in UV Protection Oils. 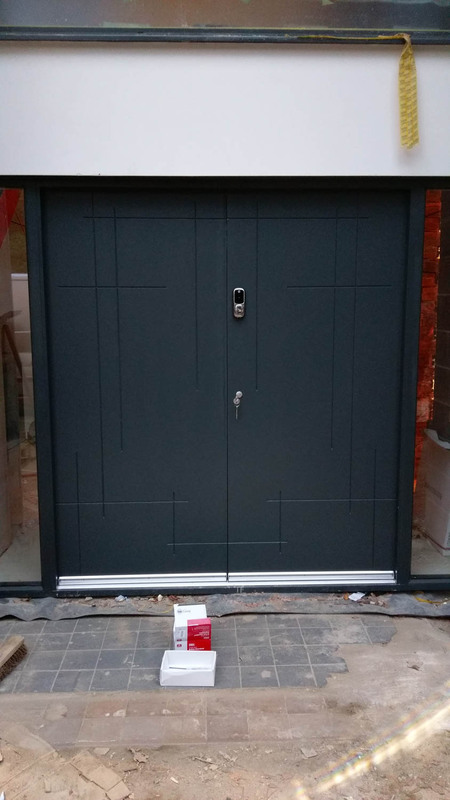 Ironmongery is entirely bespoke and optional, although we always ensure your safety by implementing our secure multi-point espagnolette locking system. 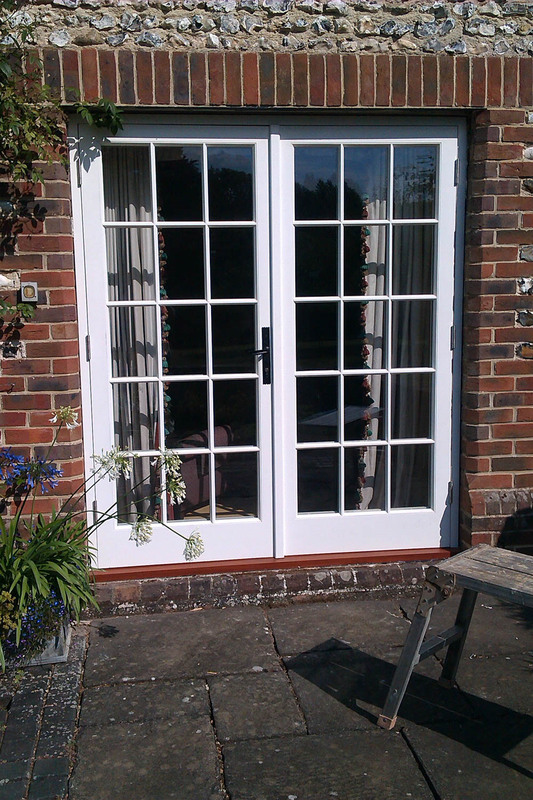 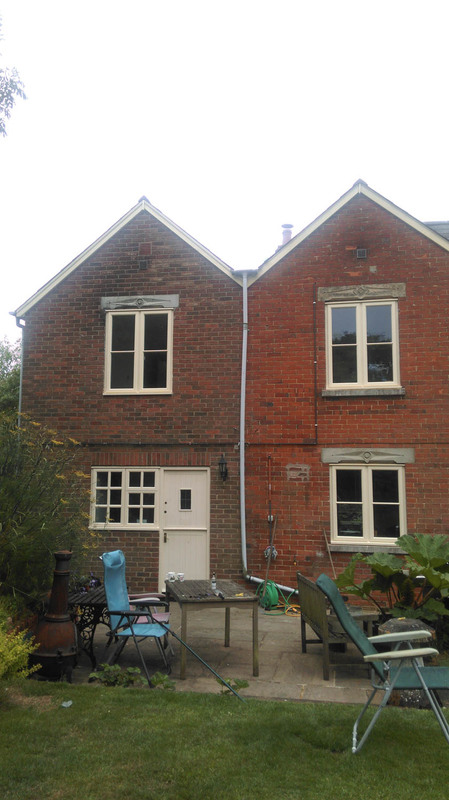 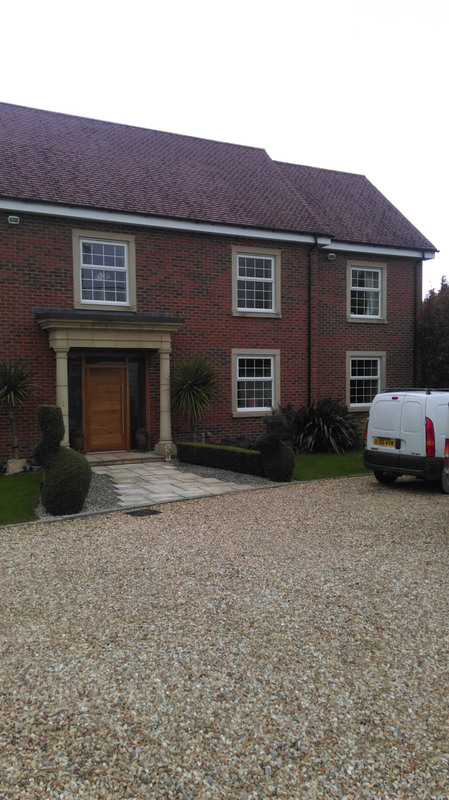 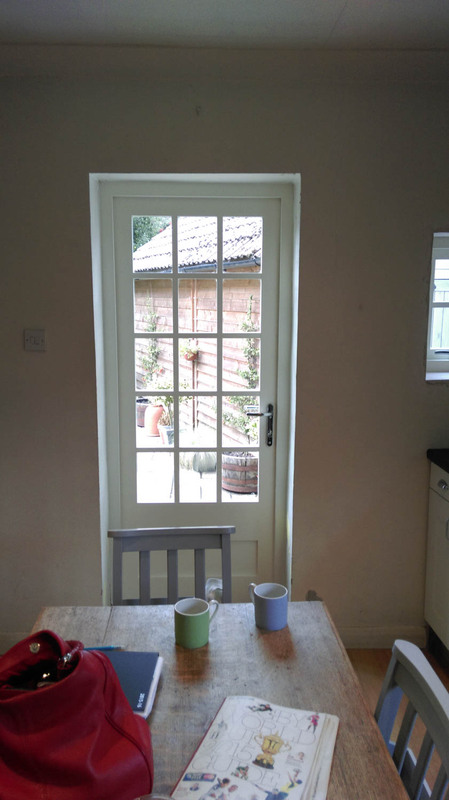 Our Back Doors are double-glazed where required and fully sealed to make your home wonderfully warm and draught-free. 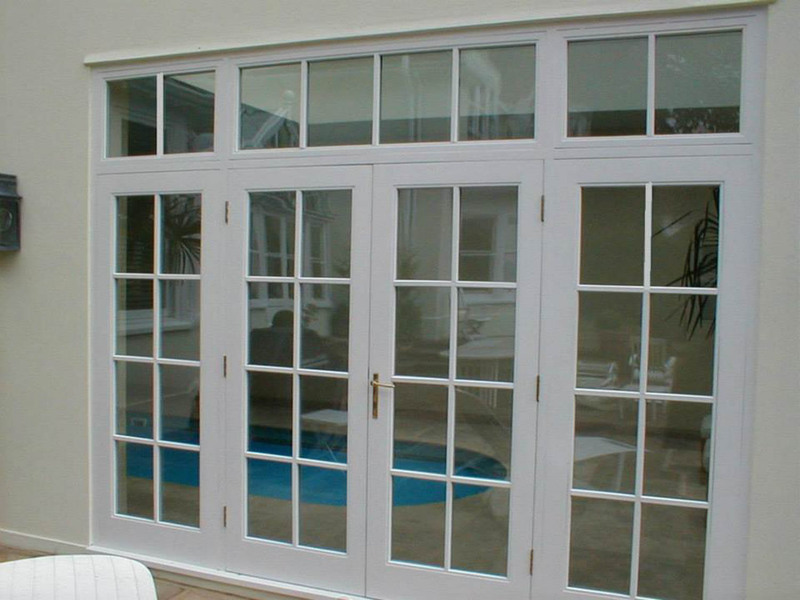 Advanced glass technology and our superior insulation also ensure that your new doors offer reduced noise, increased energy efficiency and optimal warmth. 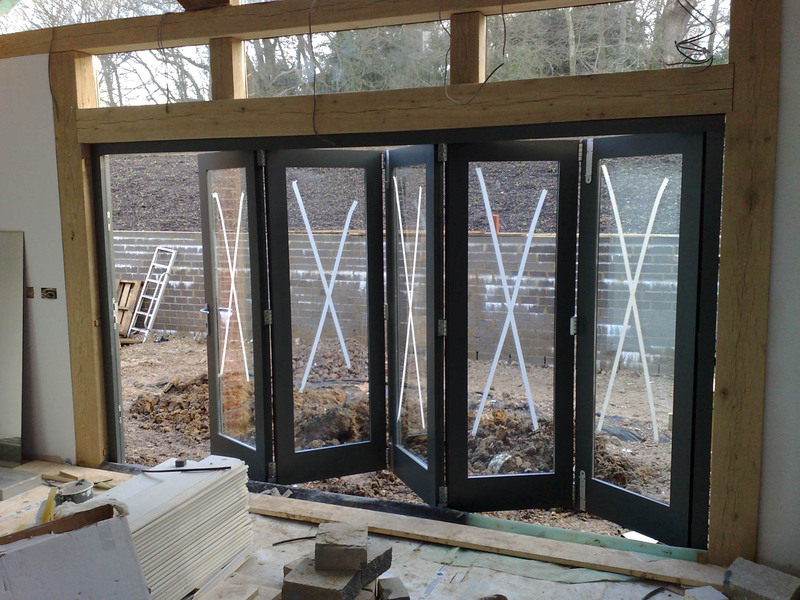 Applewood Joinery Bi-folding Doors can be either hung off each other or using one of our various track options. 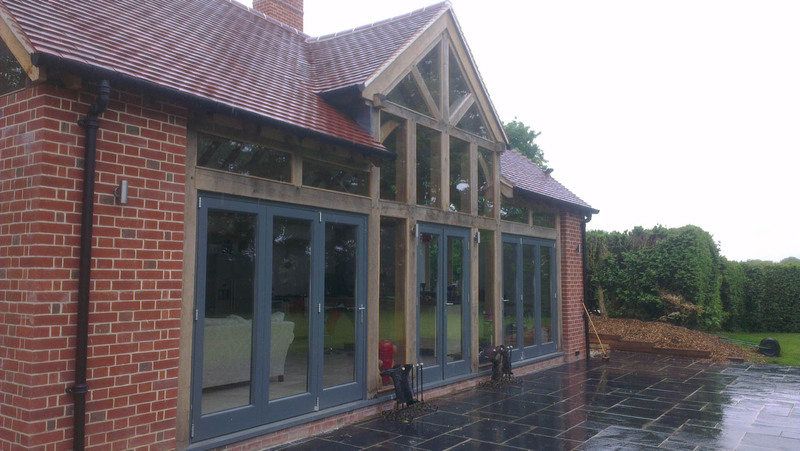 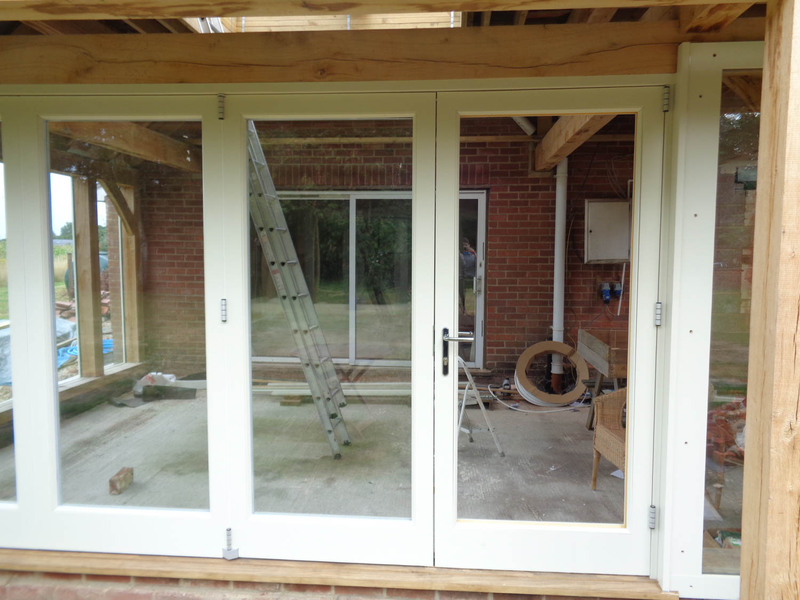 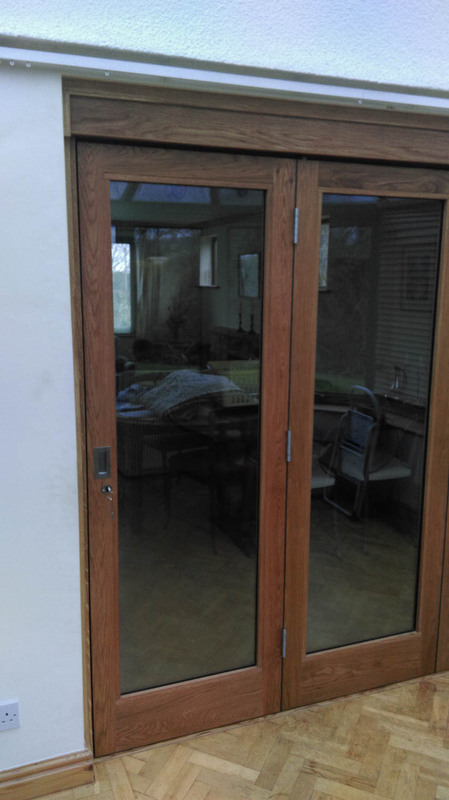 Bi-folding doors are used when you require a wider opening than conventional French doors. 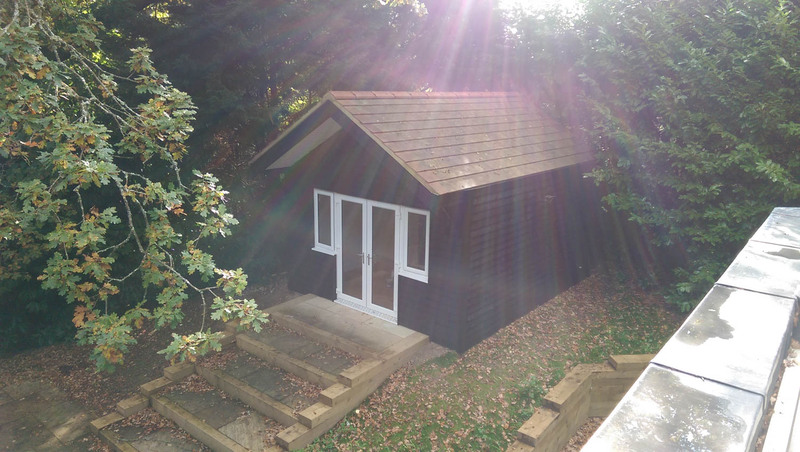 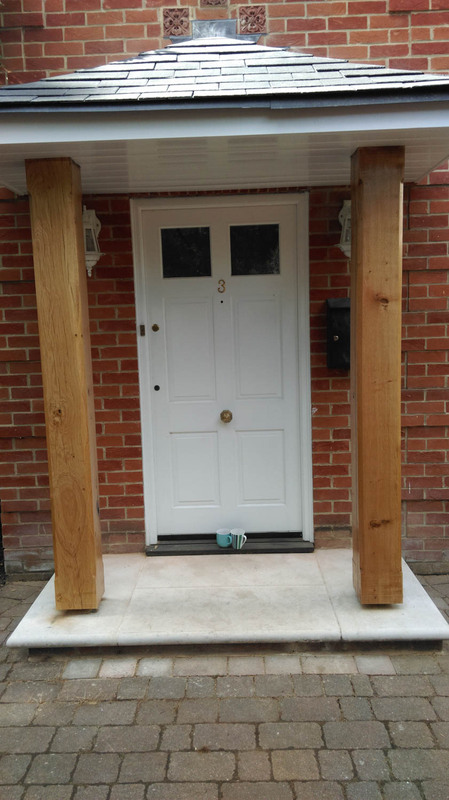 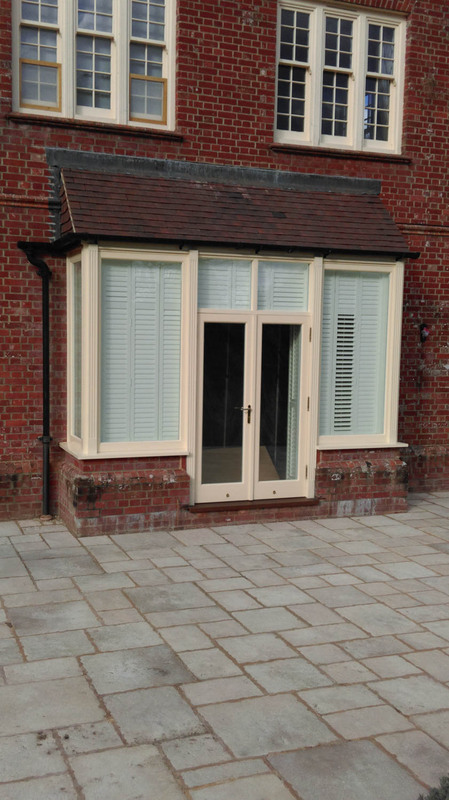 These systems are custom manufactured and are to suit the size of the opening required with assorted options of timber and paint/stain finish. 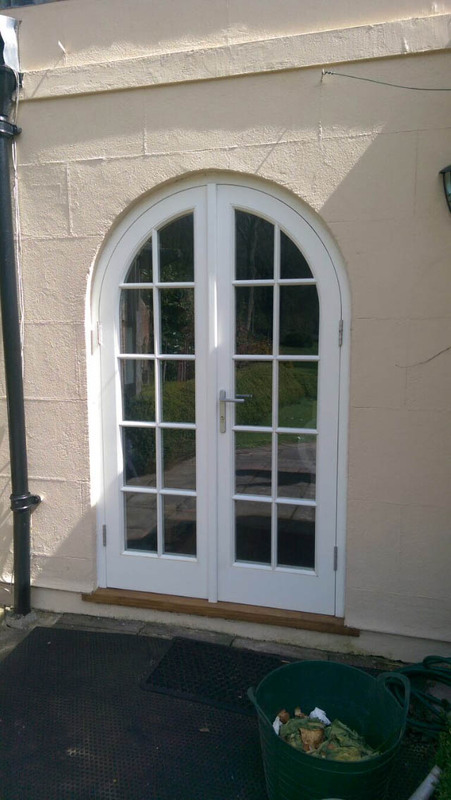 The Applewood Joinery French Door will enhance the feel of any home, bringing a touch of continental style and a sense of superior quality. 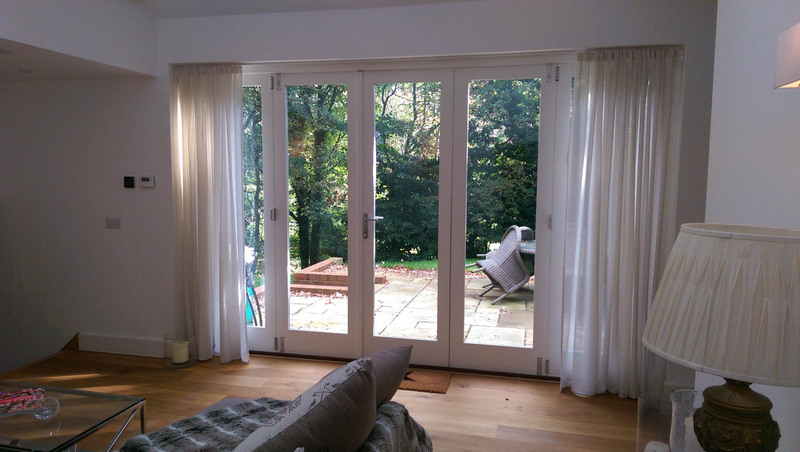 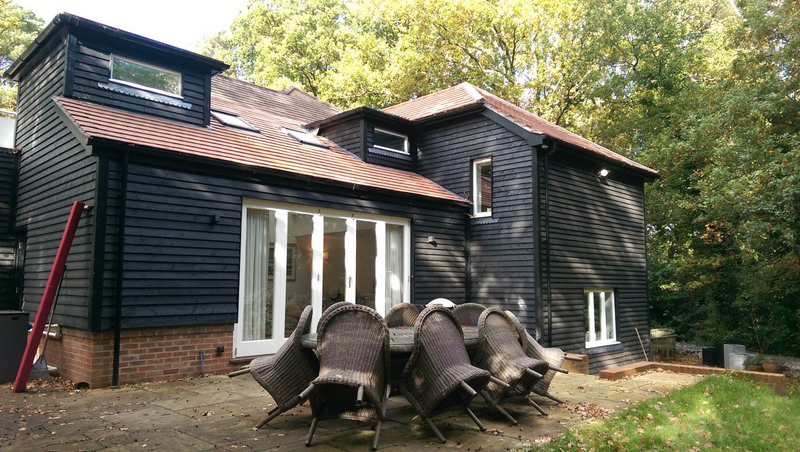 French doors are an increasingly popular choice among homeowners across the UK – they are ideal for increasing natural light in your living space and enabling elegant, yet easy, access to your garden or balcony. 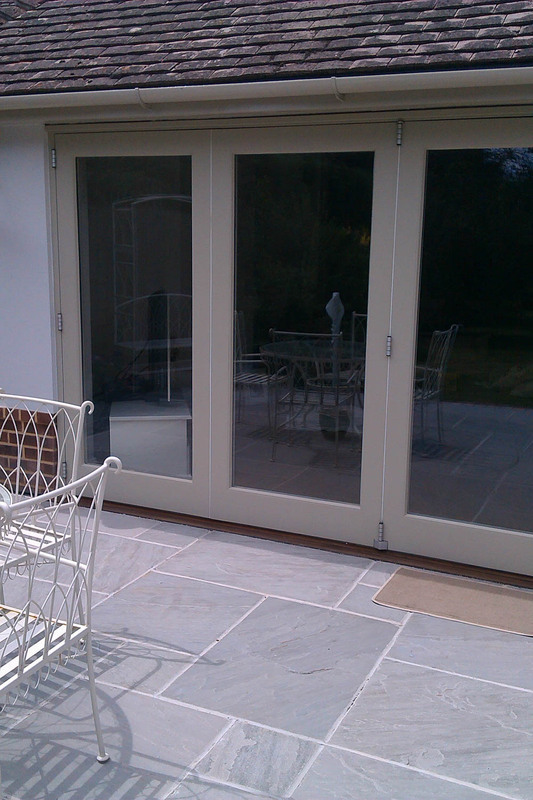 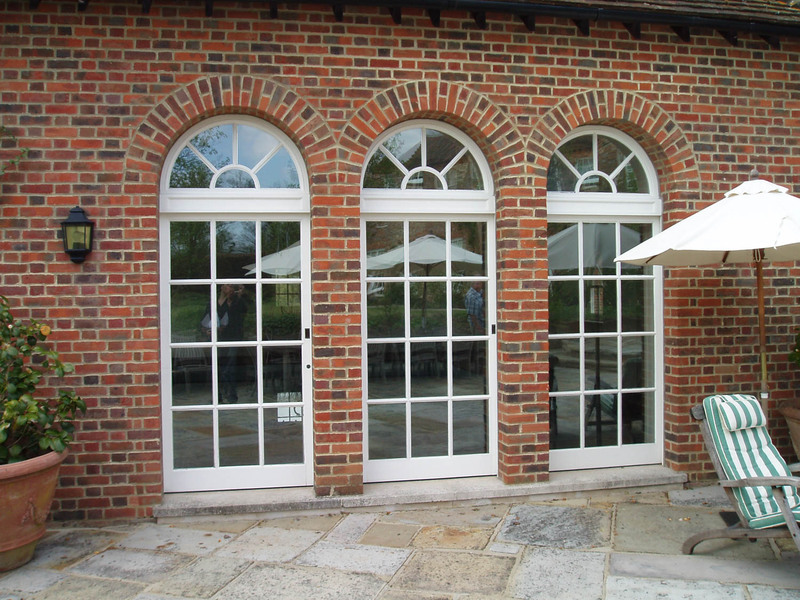 Our high-quality French doors are available with a range of features, ironmongery and glazing options. 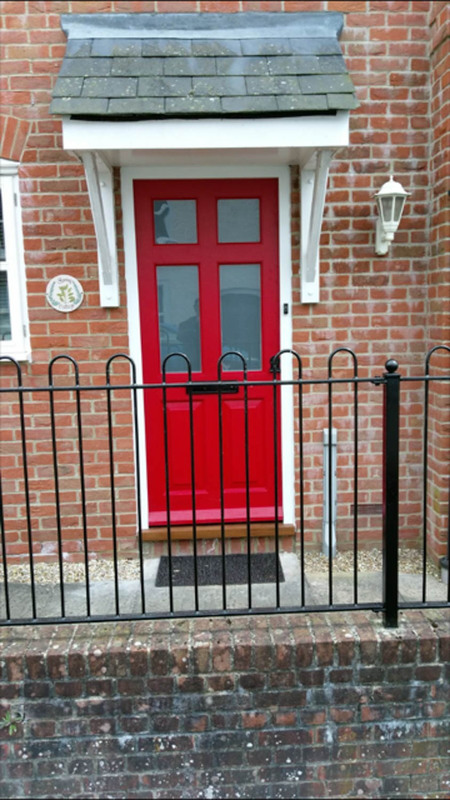 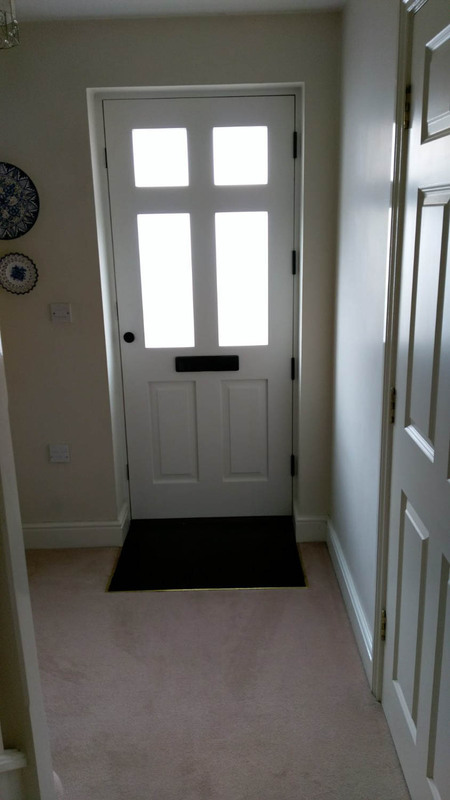 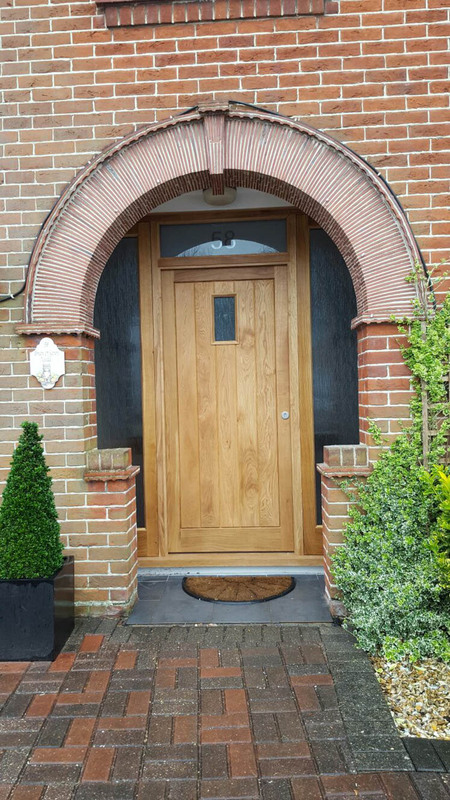 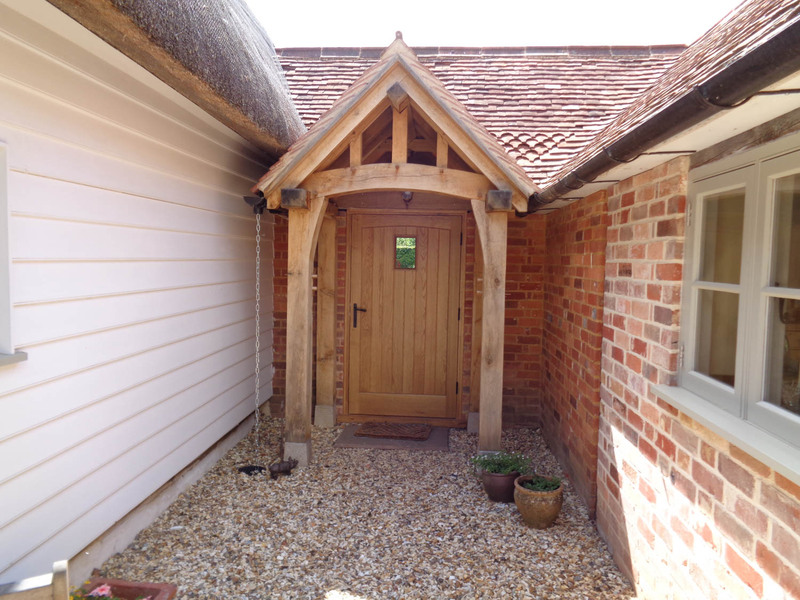 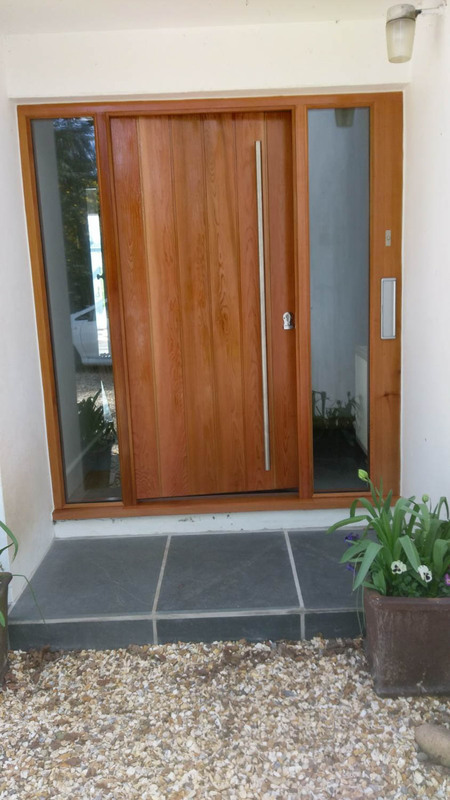 An Applewood Joinery Front Door is tailor-made to suit your home, manufactured to virtually any height or width you require and fitted to exacting standards. 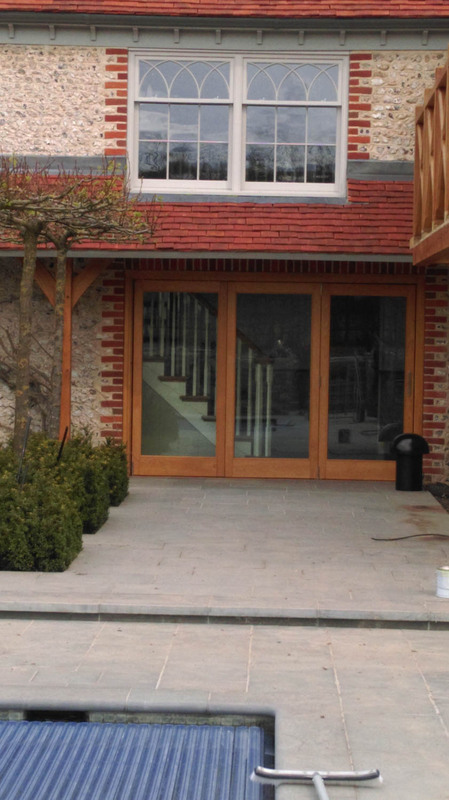 We use a variety of materials including European Oak, Accoya, and Sapele. 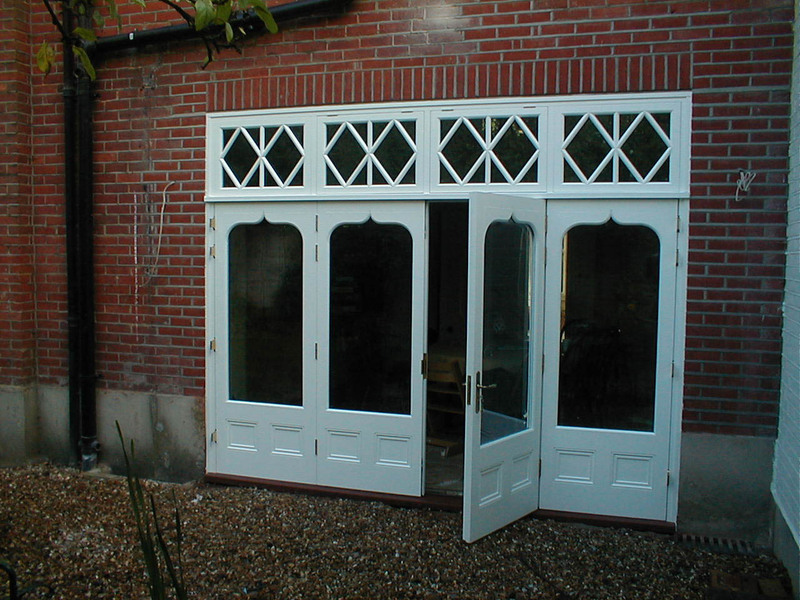 We can match and manufacture to photos and drawings; or we can suggest a few ideas that suit your needs! 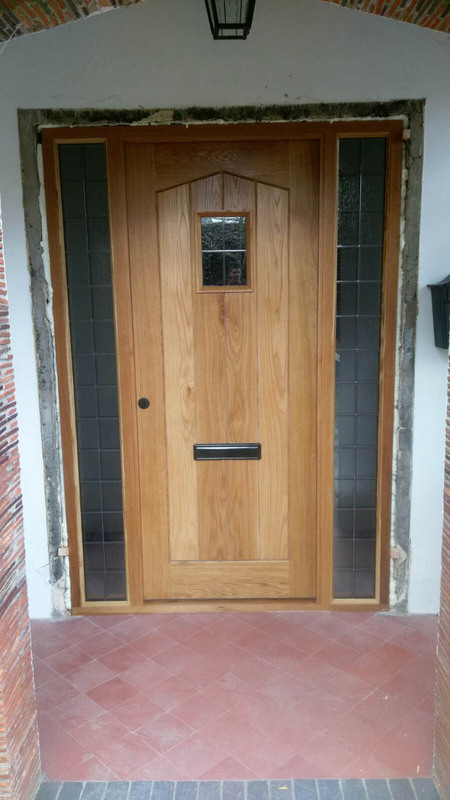 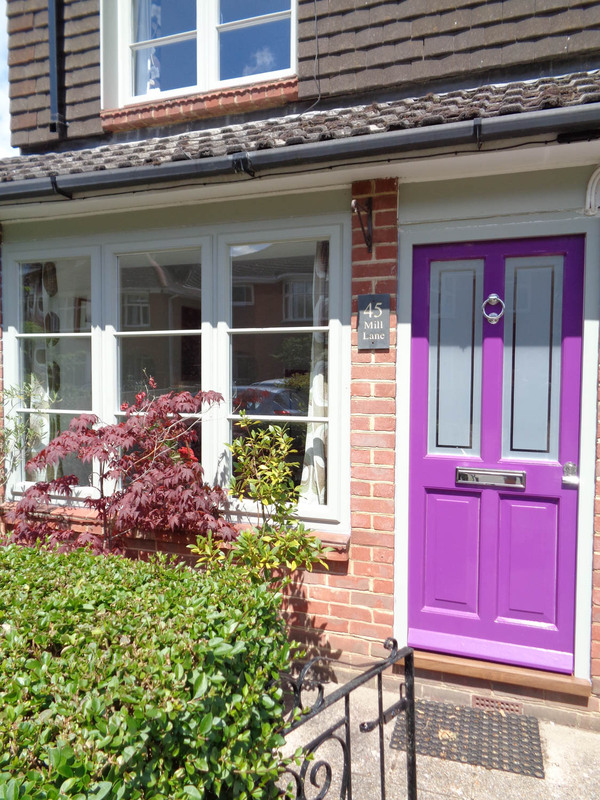 Our Front Doors are double-glazed where required and fully sealed to make your home wonderfully warm and draught-free. 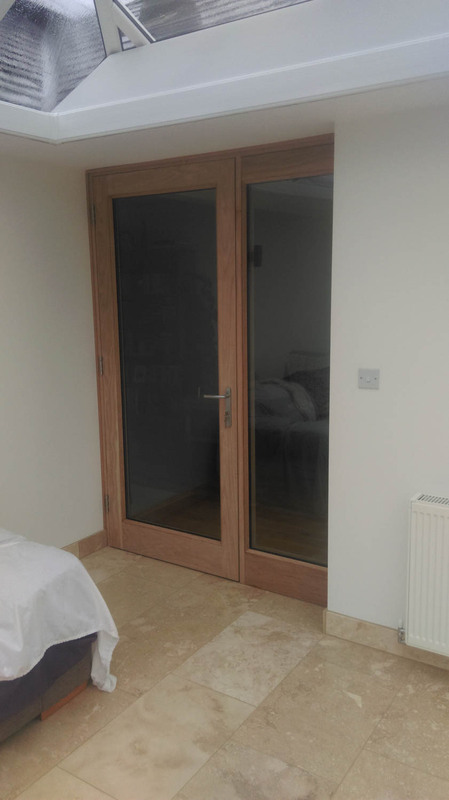 Advanced glass technology and our superior insulation also ensure that your new doors offer reduced noise, increased energy efficiency and optimal warmth. 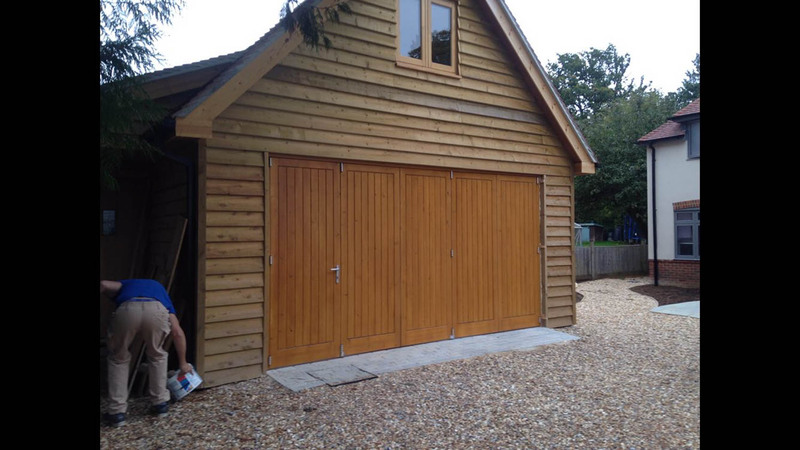 Practical and secure, the Applewood Joinery Garage Door can be “up and over”, side-hung or utterly bespoke. 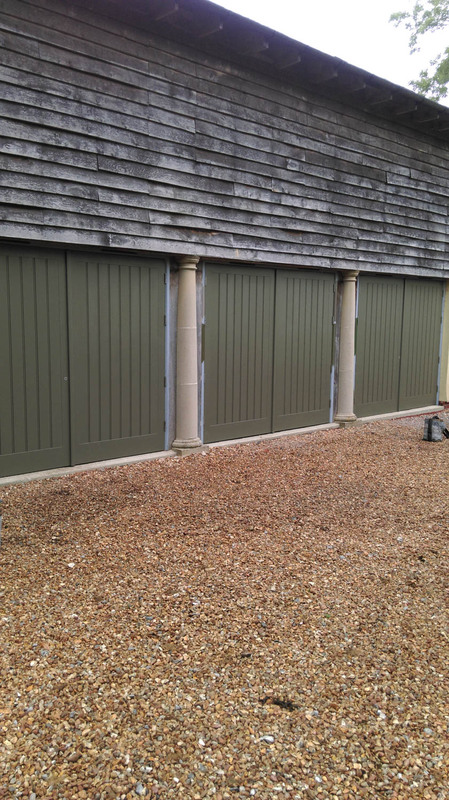 Hand-crafted to your exact design and measurements, you can be sure that your vehicle will be kept securely without compromising on quality. 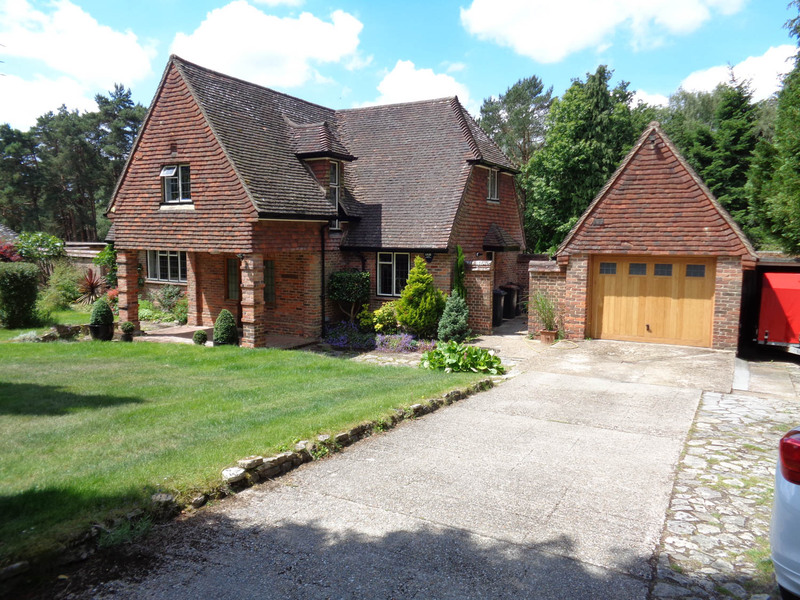 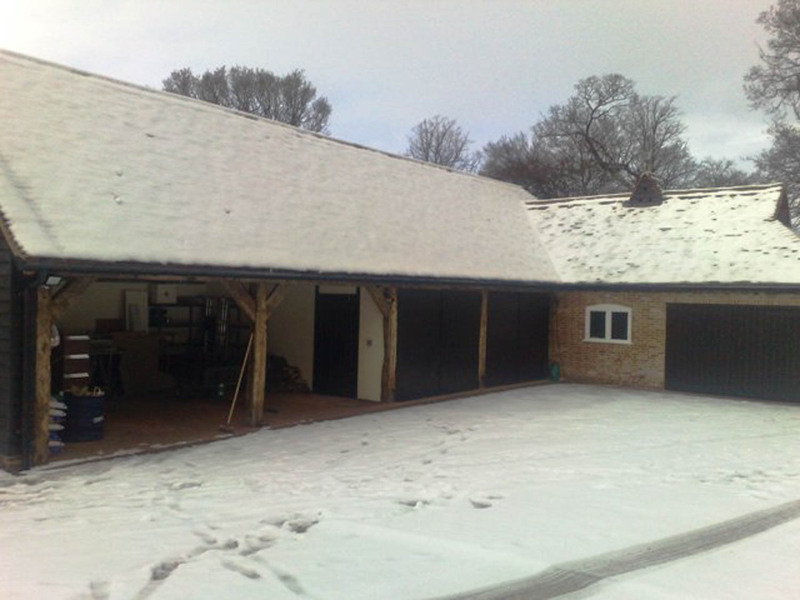 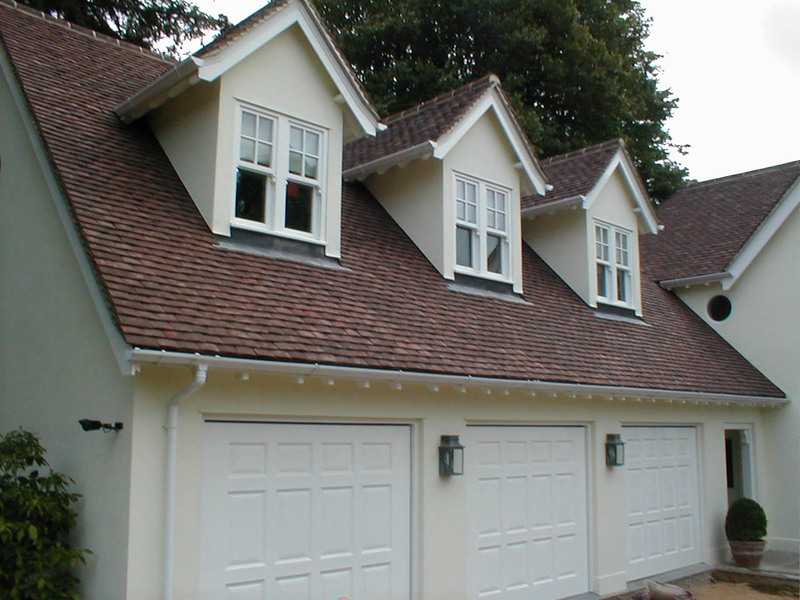 We can also provide mechanically operated garage doors which may prove to be more convenient for you! 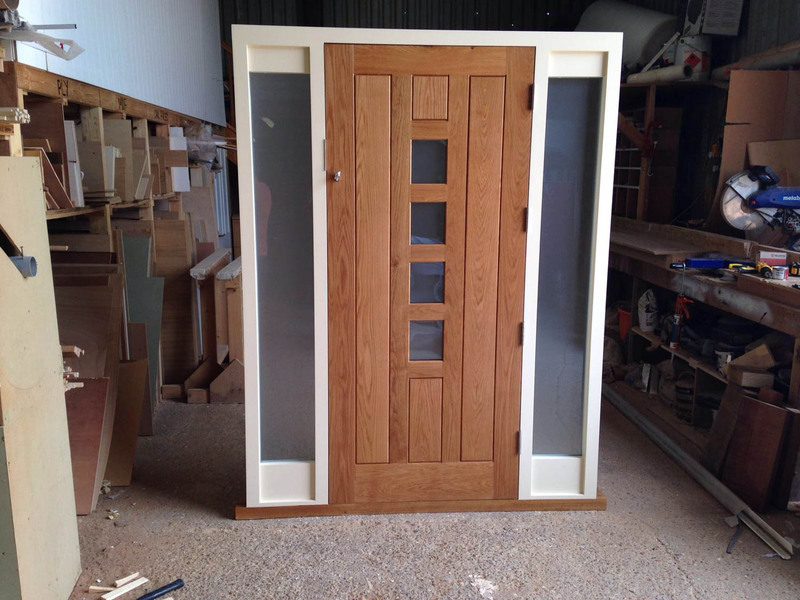 Looking for a stunning door for your dining room? 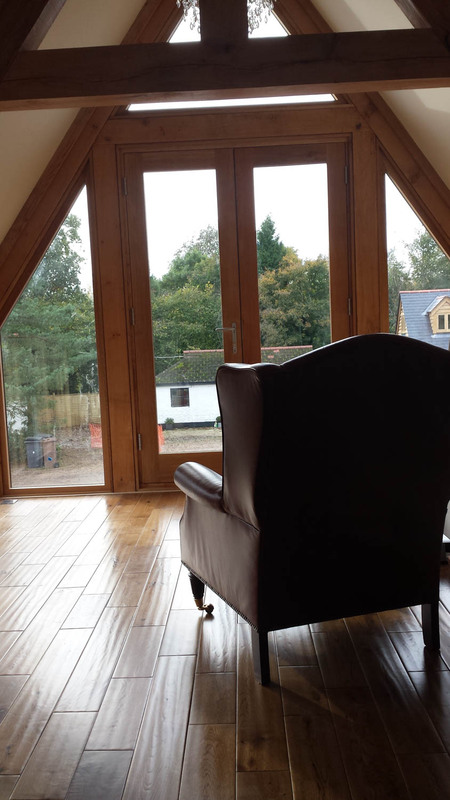 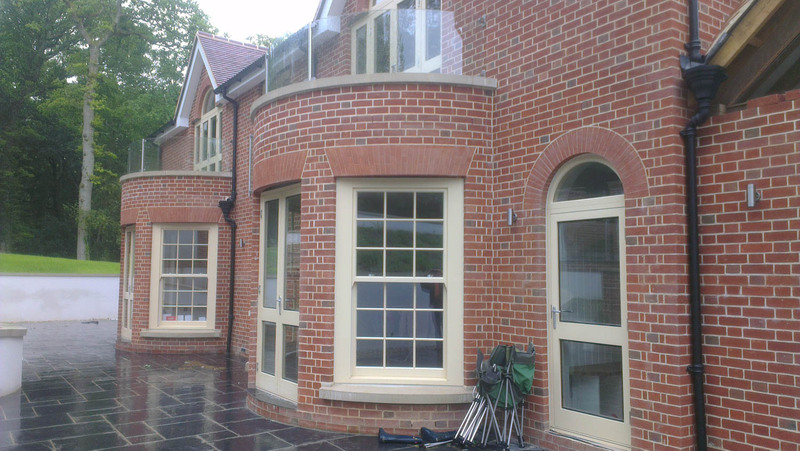 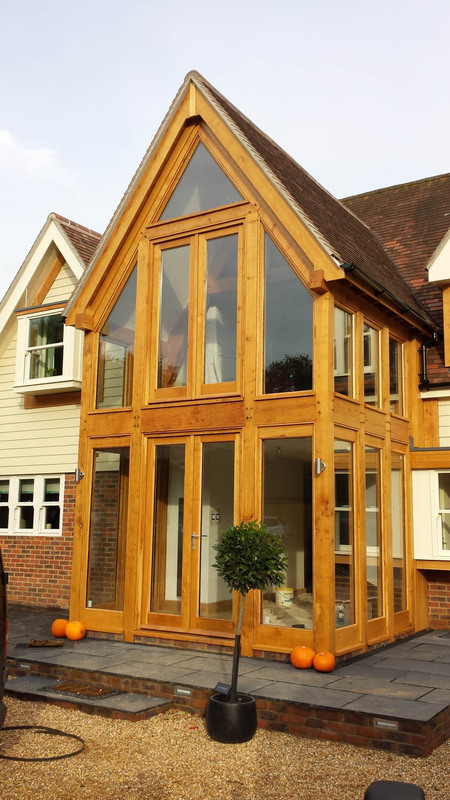 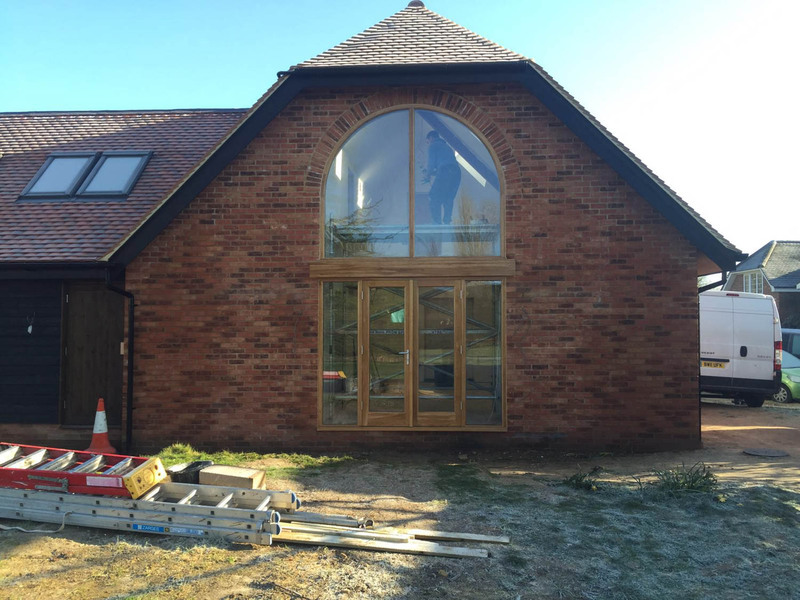 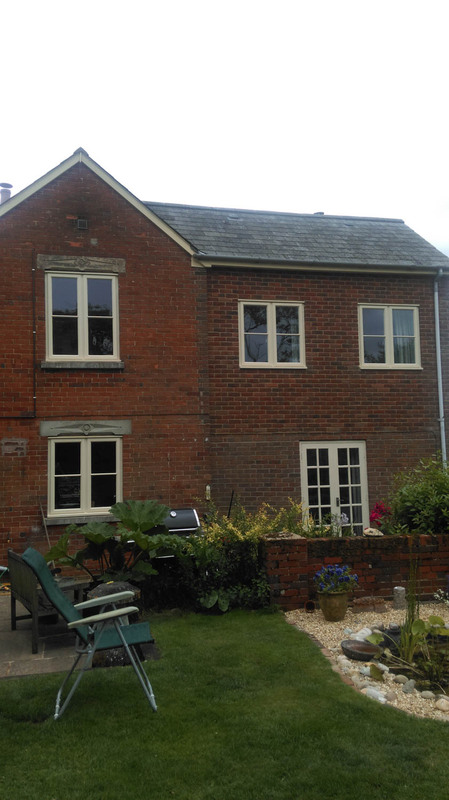 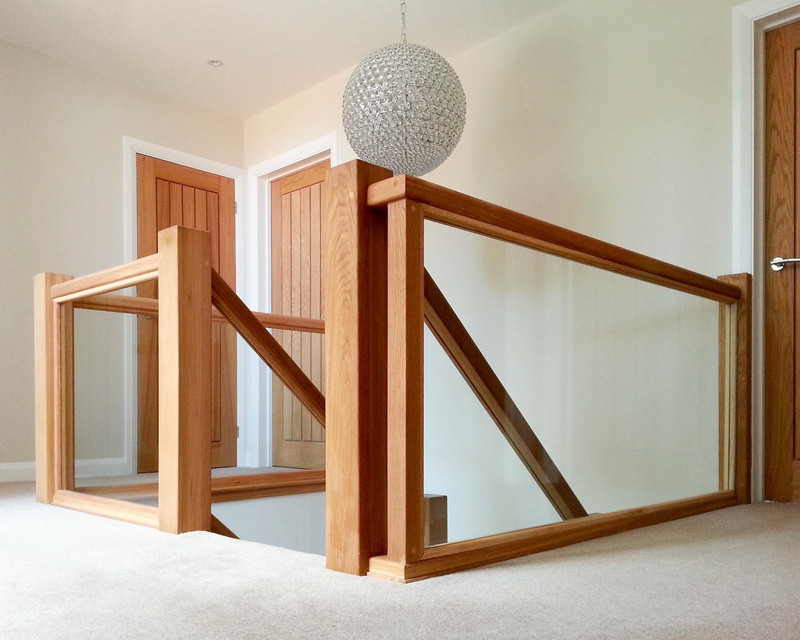 Look no further than Applewood Joinery. 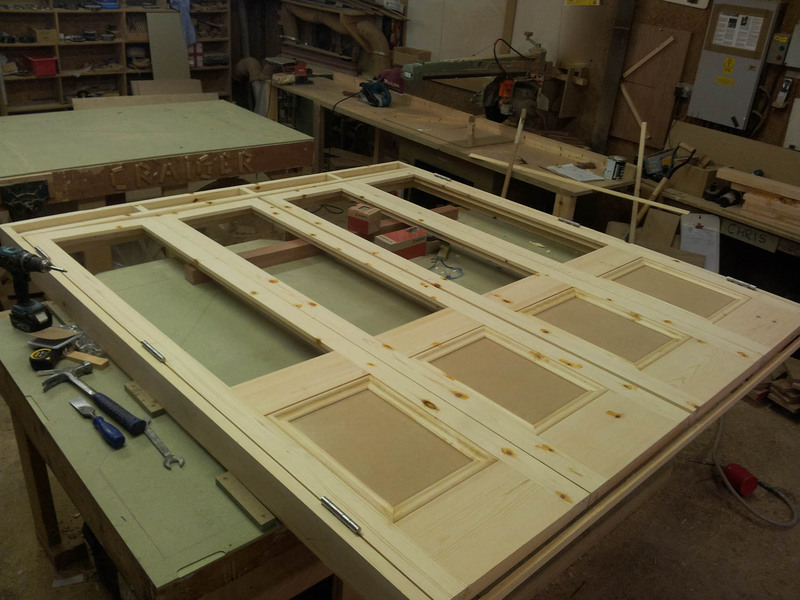 We produce first-class bespoke internal doors on a regular basis for a reasonable price. 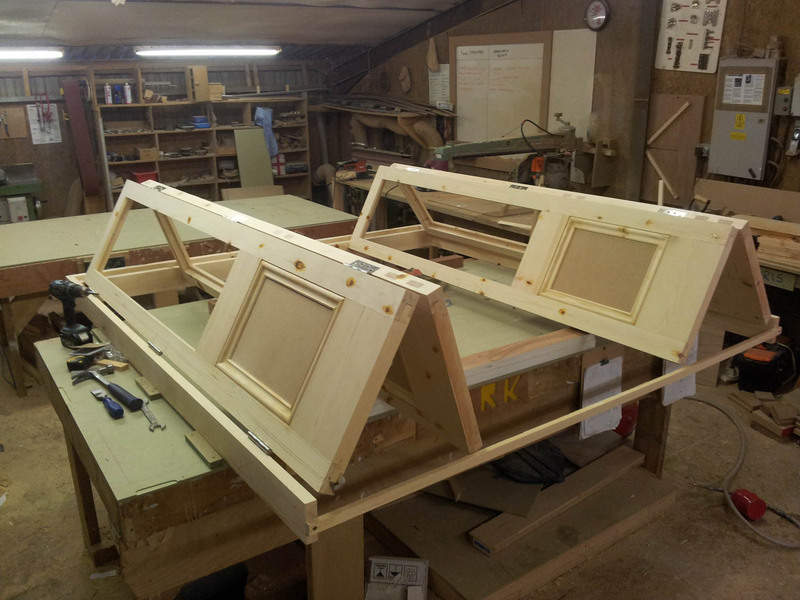 Our craftsmen are exceptionally proficient at making doors and will make sure to get the design you want perfect for your home. 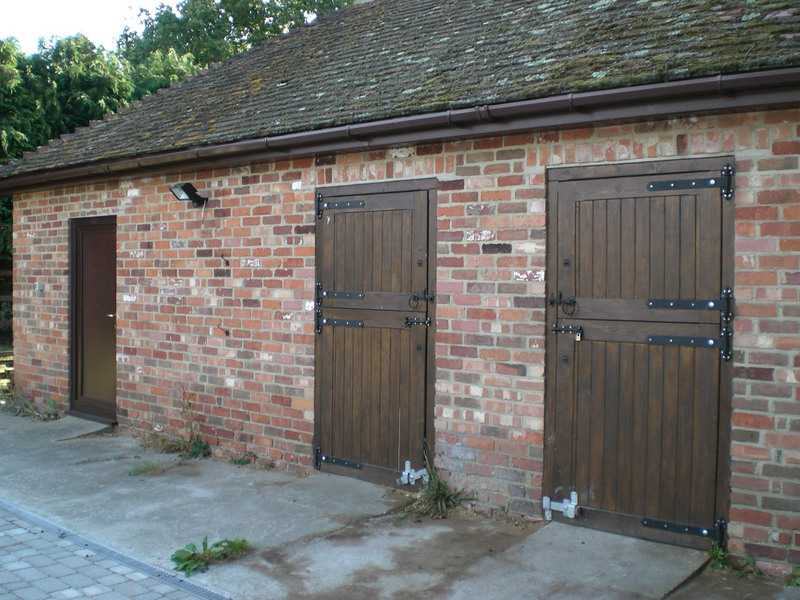 Based in the countryside, our local people usually need these types of doors for their farms. 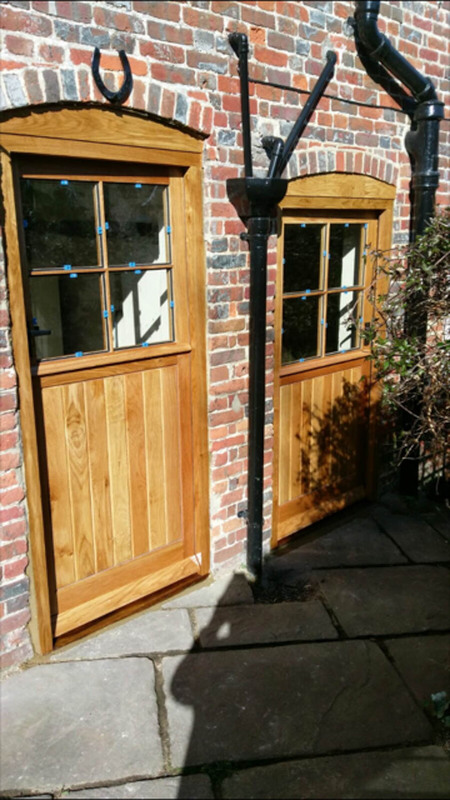 The Applewood Joinery Stable Door takes your custom designs and brings them to life! 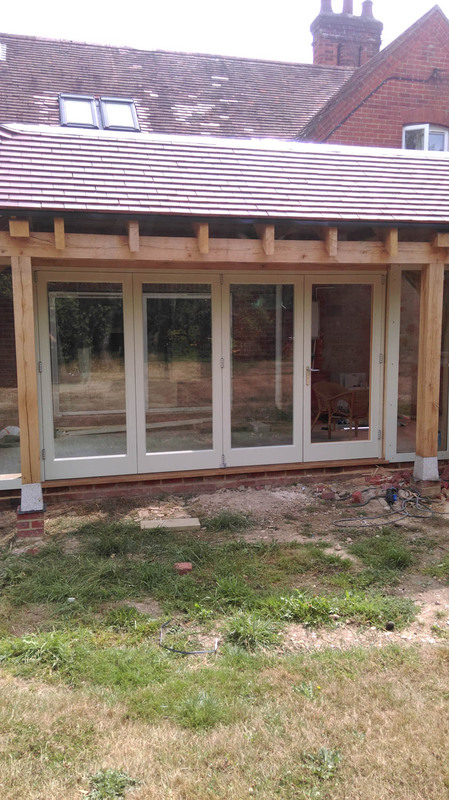 Whether they are operational or just a dummy feature, you can be sure that our stable doors are expertly-made and fully complementary.